Here in Canada, we like to think that we are a part of a diverse country of acceptance while in many places, people are being persecuted for their religious practices on a regular basis. Each year as the snow flies, the debate rises anew – Happy Holidays, or Merry Christmas? The 2015 edition of this debate has been more heated than ever, with an international refugee crisis on everyone’s minds and, as of Nov. 3, the release of the decoration-free red holiday cup from Starbucks. Yes, the infamous Starbucks cup. Since the coffee company swapped out their regular white to-go cups for the red holiday edition, the internet has blown up. This year, rather than having the red cups decorated with winter icons, they are a simple bright red. While all of these themes have evoked a sense of winter, none have been exclusive to Christmas traditions. In fact, the last Christmas related cup – and one of the only ones – was released in 2009. The 2009 cup was decorated with tree ornaments with words such as “hope” and “wish” inscribed on them. Only two days after the 2015 cups were brought to stores, “social media personality” Joshua Feuerstein uploaded a video to Facebook in which he criticized Starbucks’ cup as a war against Christmas and Christianity. He calls for patrons to boycott the company, or to go in and request that staff write “Merry Christmas” on the cup, in lieu of the patron’s name. “Choose to not be politically correct, just correct,” says Feuerstein in his viral video, which had reached 16.5 million views as of Nov. 27. He is not the only public figure to have commented on the Starbucks cup. On Nov. 9, American presidential candidate Donald Trump spoke against Starbucks at a rally in Illinois. Despite all of the negative attention the cups have received, there has been an equally strong outpouring of support for them. Singer Demi Lovato and singer/songwriter Michael Castro have both tweeted in support of the campaign. Starbucks has weighed in as well, in an effort to clarify their decision as supportive of all customers rather than as an act of war against Christmas or Christianity. 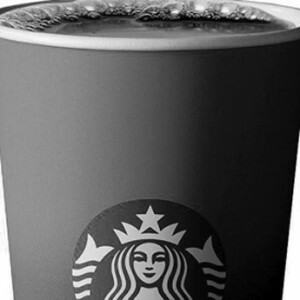 Starbucks Vice President of Design and Content Jeffrey Fields released a statement encouraging customers to use the red holiday cups as a blank canvas on which to design their own stories. “This year we wanted to usher in the holidays with a purity of design that welcomes all of our stories,” the statement read. The Starbucks cup might not have created so much controversy if the Internet wasn’t easily prone to overreaction and misplaced activism. In fact, #MerryChristmasStarbucks has consistently been trending above any refugee-crisis-related hashtags since the start of November.